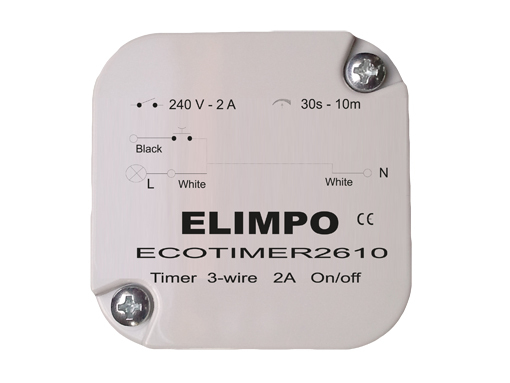 Elimpo presents a LED dimmer for ALL dimmable LED and LED-supply!!! 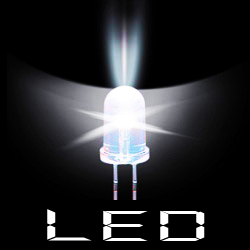 Our recent research and development lead us towards new technology and apps for switching and dimming LED and LED-supplies. The ECODIM900 series, a range of dimmers for LED and Energy saving lamps, has been updated with new software and a new onboard function in order to become more and more compatible with the new LED technology! The ECOSERIES900 is now capable to dim and control almost any dimmable LED and LED-supply, due to the fact that you now can control the output of current towards the charge. This new function makes it possible to eliminate flickering of the LED. 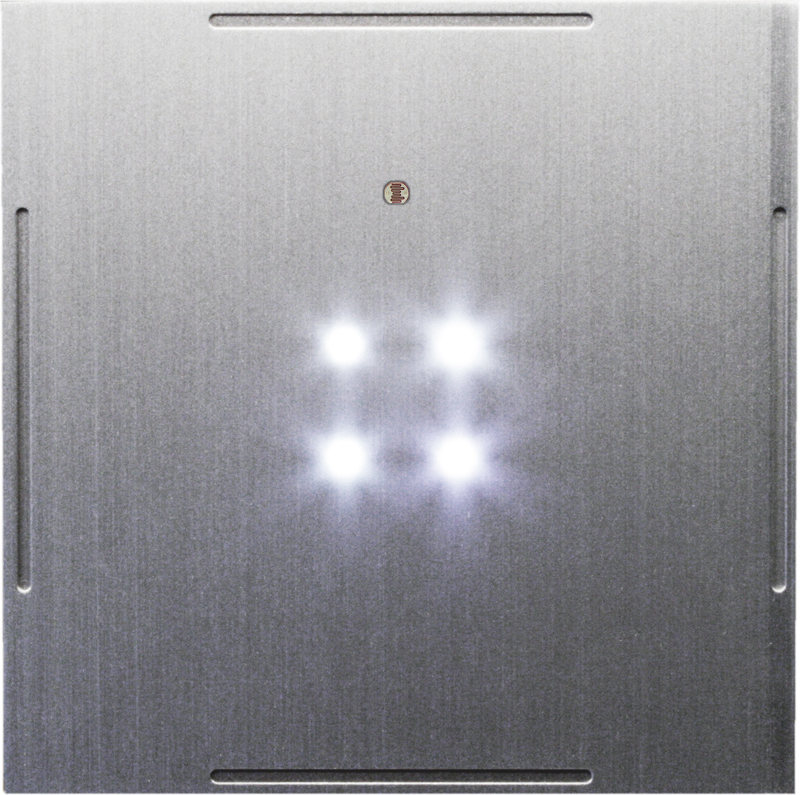 The ECOSERIES900 are also capable of dimming a minimal charge, from 3W up to 80W. Check out the updated ECOSERIES900 on the "ECO PRODUCTS" link in the main menu on the left or click here to go to the page directly. Stay tuned for more updates very soon. We are about to release more products and updates in 2013. Two new products for your eco-installation!!! We are proud to present another two new additions to our product range. 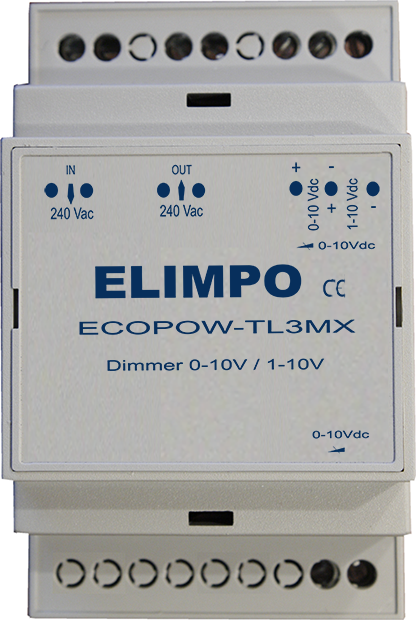 De ECOPOW-TL3 is a device designed to control all kinds of dimmable supplies, from 0-10V (Tension-Control) to 1-10Vdc (Current control); supplies for Tubes, Fluo, LED, ... and dimming is saving energy! 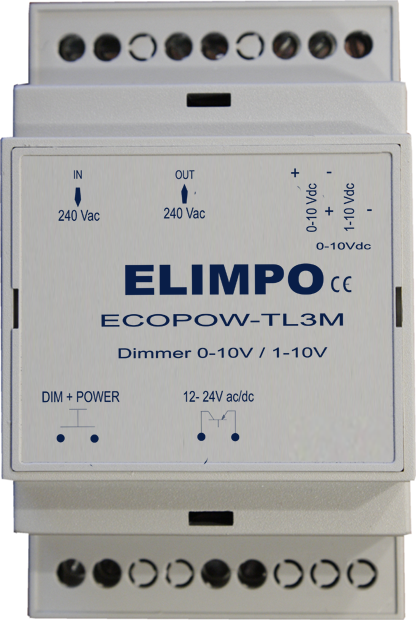 The ECOPOW-TL3 can be used in standard installation as in domotic application due to the choice in control of the dimmer; a push button, a low tension pulse or 0-10Vdc. A single master-dimmer can synchronously dim/control multiple slave-dimmers/circuits. Check out the ECOPOW-TL3 on the "New products" link in the main menu on the left or click here to go to the page directly. We are proud to present our first of many new products we shall launch in 2013. Check them out on the "New products" link in the main menu on the left or click here to go to the page directly. Very soon we will update our range of products, so stay tuned. The new website is launched!!! A new strategy, new targets, and of course a new website in order to follow the new media that the internet offers us. You will see our site change as new features, possibilities, apps and products will be launched. So stay tuned! Elimpo will be present at Technologie 2013 by Cebeo, from Tuesday 14/5/2013 untill Thursday 16/5/2013. Be sure to visit our stand (705) to discover our new products. Elimpo is growing and changing. Since the middle of last year there has been a complete makeover of the company at Elimpo. You will understand that this is related to a lot of changes. First and foremost the whole Elimpo team went through a true metamorphosis. New people were attracted and the management was renewed. Furthermore Elimpo wants to change its outside profile towards the electrical market. Previously where the approach was rather static, including design and development, production and sales; Elimpo wants to move forward in a more dynamic profile today. In this context we want to express ourselves as a dynamic and progressive company. First and foremost, we want to move away from fixed product lines and products, and we want to specialize in more specific products. We do not claim that we deliver custom-designed work, but it comes very close and is very flexible. The launch of our new lines and products will show this clearly. We refer to our larger variety of products that will be launched in 2013. This also means that we willingly or unwillingly have to adapt our production and development to our new strategy. The diversity of these products result in a last minute completion of the final order. In addition, we want to listen to the needs of our customers and want to try respond very quickly to their question, to a feasible extent, of course. Customers who thus require a specific product can always contact us for information. A new face and profile, new products and most of all a new vision. 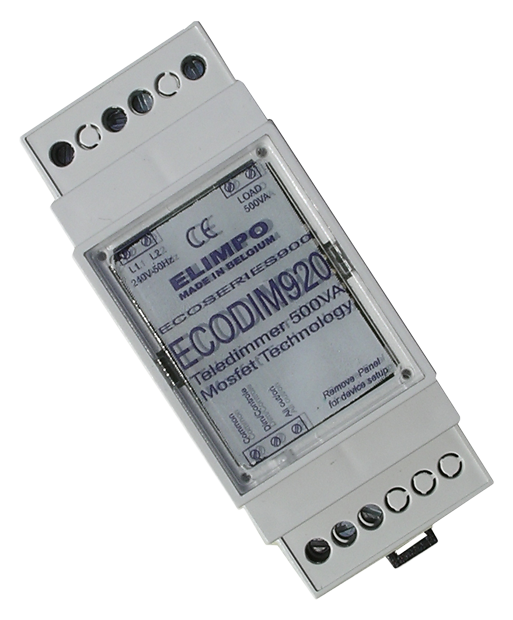 All the products carrying the Elimpo brand name are developed and manufactured in Belgium by Elimpo. 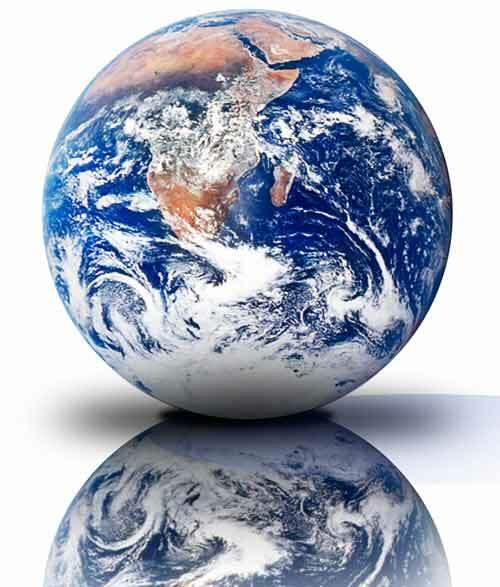 The production process is carried out with most respect for the environment. Copyright © 2013 Elimpo NV. All Rights Reserved.